In the past decade, the spend on digital marketing grew from nothing (2000s) to significant ratio (2010s). As a result, CMO and marketers want to be able to unify their efforts to better organize their teams, optimize their social/mobile/iPad/web programs and deliver real business results. This implies a shift in marketing mix from a focus on classic channels – brick, click (web); to a new omni-channel mix -> brick, web, mobile and social. CMOs are increasingly gaining control over digital strategy and the digital spend. Their strategy: create next generation of Listen, Analyze & Understand and Engage strategies using new tools bypassing traditional IT. The popularity of social media via followers, friends, and fans has created billions of social conversations. Social media platforms allow influencers & consumers to discuss a wide range of topics to a large audience, including their personal experiences about customer service and purchasing decisions. As online technology becomes an integral part of customer acquisition and retention, it fuels demand for tools that identify, monitor, engage, analyze and interact with customers via the mobile/social web. As more consumers turn to social media, their purchasing decisions are influenced by what they read and hear. Marketing, Sales and Customer Service groups need the ability to listen, understand and respond intelligently to these social conversations allowing them to create better marketing campaigns, improve customer service, generate targeted leads and opportunities and enhance products and services with real-time feedback. The tools to enable, support and accelerate this value shift are increasingly the focal point in the digital marketing community. A host of new firms have emerged to fill this new social listening, advertising and marketing category – Vitrue, Radian6, NetBase, ListenLogic, Buddy Media, and numerous others. 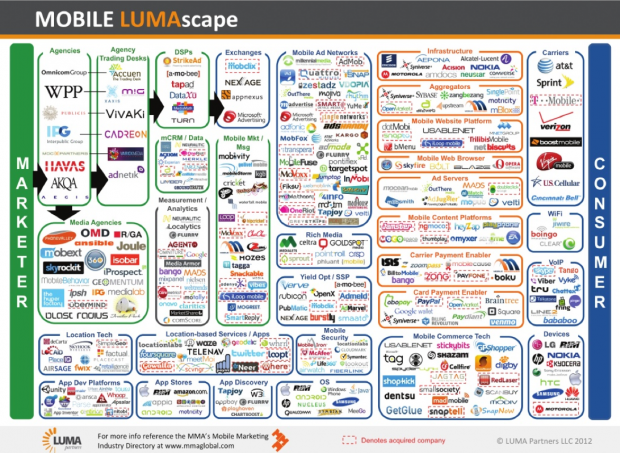 Digital marketing is very confusing—as the graphic from Luma Partners shows. Business Insider has published a piece that was every educational: A Simple Guide To Social Networks: What Goes Viral Where, And Who Uses What . It reveals what kinds of users are on which social networks, why they are on those sites, and what types of content goes “viral” on those sites. What does an organization hope to gain by listening to what is said about its brand? Leading indicators of trends or opinions. Organizations, especially those with a strong brand identity, are “listening” to their customers online to gauge sentiment. Human intensive – becoming members of relevant communities and searching out content related to them. Automated — sophisticated software tools that automate “listening” activities. These tools advance listening from a human function to an automated activity that can scale to listen to vast quantities of available social media data. Sophisticated: In addition to listening to chatter on sites and communities, companies can now use tools that “crawl” the Internet looking for more extended feedback and insights. This can be termed “mashup” listening where multiple sources are mashed together to create a picture. What does the customer feel about the brand? Has the customer experienced service problems? Does this customer influence other consumers? Social intelligence answers all these questions by making sense of vast quantities of structured and unstructured data to define intent, loyalty, influence, and sentiment. At Daytona 500, the first race of the season for the National Association for Stock Car Auto Racing (NASCAR), the unthinkable happened: The #42 car lost control under caution and slammed into the back of a jet dryer. Nearly 200 gallons of jet fuel from the dryer poured onto the surface of Daytona International Speedway, igniting an intense fire and leaving race fans wondering whether the race could be resumed. The heat from the burning fuel severely damaged the asphalt surface. Safety workers moved quickly. They put out the flames then turned their attention to cleaning the track and determining whether the race could be resumed. Track personnel carted out large boxes of Tide detergent on the back of a truck bed. Safety workers began opening the boxes and dumping the detergent all over the track, using brooms to scrub it into the surface. @Tide, congrats on getting the daytona track cleaned up. ThankQ. P&G quickly leveraged the incident to increase the buzz about Tide. The social media team via their Digital Operations Center responded quickly. At THINKstrategies’ Cloud Analytics Summit in April, Ju-kay Kwek, product manager for Google’s cloud platform, talked about what Google has done internally to manage and analyze its big data, and what it is doing to help other companies do the same. To set the stage, Kwek provided a few metrics: He said that there are 72 hours of video a minute; Google’s index is 100 million gigabytes — 10,000 terabytes — which doesn’t included content; and there are 350 million active Gmail users. “If I were a product manager on Gmail, how do I know what features are important to users, what features user are having problems with or what features are trending?” said Kwek in his keynote address. “250 milliseconds is the average time a search takes to execute on Google. All that video, all those users, that huge index — how do you turn that into a quarter second search query that gives you the information you want? That is the kind of challenge that Google was forced to deal with to build the “scale” business we want.” This example shows the power of indexing data in creative ways to guide search. Social Intelligence platforms are pretty similar. They use semantic analytics engine to process millions of comments daily, transforming social conversations into actionable “engagement” intelligence. The solutions eliminate irrelevant and duplicate data, capture a clean signal, determine consumers’ intentions and interests, and automatically identifies emerging trends and hot topics to help drive better decisions with meaningful consumer data. Information processing techniques that leverage search assume that data discovered is factual. However a large amount of web information includes opinion – positive or negative. However, current information processing tools are not designed to interpret opinion. Feelings and emotions are subjective. Sentiment is rarely an “all or nothing” expression, but rather comprises a range of feelings and tones. So placing a qualitative label such as “strongly agree” on a survey form offers no true quantitative measure of what the respondent actually feels. Gauging sentiment is strongly associated with context. Work being done on review mining builds subjectivity into the analysis; it focuses solely on positive vs. negative responses. customer data sources creates deep insights that drive better marketing and business decisions company-wide. The insights from listening are turning into actions… some firms are providing more online real estate for the products with the highest customer satisfaction as early experiments are showing an incremental impact on sales. That’s where social intelligence and big data being to intersect. All reasons why Oracle bought Vitrue and Collective Intellect and Salesforce.com bought Radian6 and Buddy Media. A new arms race is about to begin. 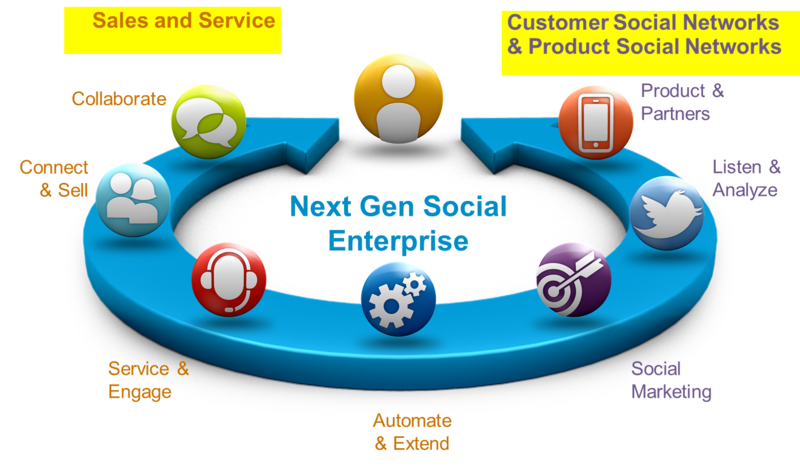 Point solutions such as individual social media listening applications are only one component of a social intelligence initiative. To harness the true potential, companies must deploy a broad information management and analytics program, tightly linked with the overall business strategy. My prediction is that iPhone 5 will unleash another wave of app innovation as faster 4G speeds enable new interesting patterns of social interaction. What is interesting is that people spend more time consuming media on iPhone than they do consuming print media, and yet print advertising spending is 25X mobile. What’s going on? Four things. for certain segment there still a cachet associated with having a full page ad in a magazine or newspaper – old habits die hard. it takes time for advertising dollars to catch up to new forms of media consumption, so we should expect mobile advertising to gain share over time. current model of Internet advertising has been the display ad, and it’s hard to display a static ad on a 4 inch screen size without annoying the user. We are in the early days of the mega shift to digital – social and mobile. A lot of noise exists out there but the long term trend is unstoppable. Digital channels are impacting billions of marketing spend. The case of GM withdrawing from Facebook illustrates the complexity of getting social marketing right. 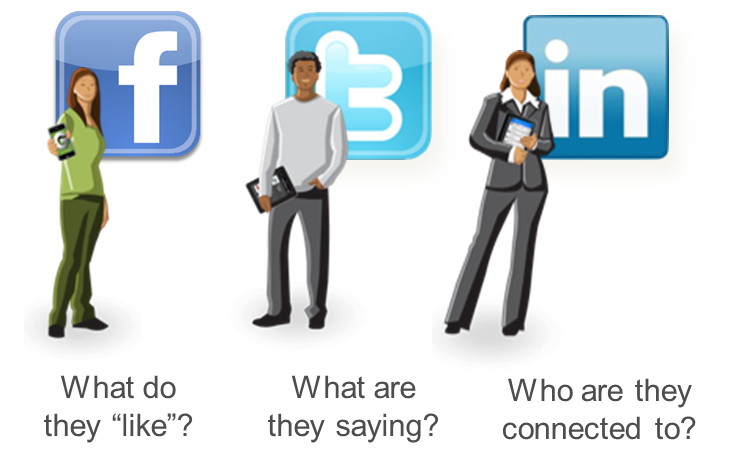 CMOs everywhere want to listen, engage, gain insight, publish, advertise and measure social marketing programs. Old habits die hard but change is underway. As a result, the marketing industry is undergoing the biggest transformation it’s seen in 60 years, and it’s all being driven by the unprecedented growth of social networks. Social usually starts as a marketing experiment or product groups trying to influence customers, but very quickly it spins out of control as it scales. Agile IT leaders need to provide the leadership to build out capabilities and standardization of tools and data integration pathways. Leading brands are looking to completely transform their traditional marketing strategies for the social era. I anticipate that as the pendulum shifts from cost takeout to growth and customer acquisition, marketing technology spend will grow rapidly within the next five years and that social advertising will be the largest growth area of online advertising by 2015. “With CMOs surpassing CIOs in spend on technology within the next five years, our Marketing Cloud leadership will allow us to capitalize on this massive opportunity for social listening and marketing.”– Marc Benioff, chairman and CEO, salesforce.com announcing the $800M acquisition of Buddy Media. CIOs are mostly in support mode or not even in the picture as marketing does their own shadow IT work. Social media-focused scenario: An identifiable customer posts negative comments about service received from a particular company. Integrating this information with other sources of customer data reveals that this is a high-value customer. The company must make every effort to retain this customer, including offers made by direct mail and during incoming calls to a call center. Mashable research shows that among the world’s 100 largest companies, two thirds are using Twitter, 54% have a Facebook page, 50% manage at least one corporate YouTube channel, and 33% have created company blogs. Overall, 79% of Fortune 100 companies are using at least one social media channel, with the highest use in European (88%) and U.S.-based (86%) companies. 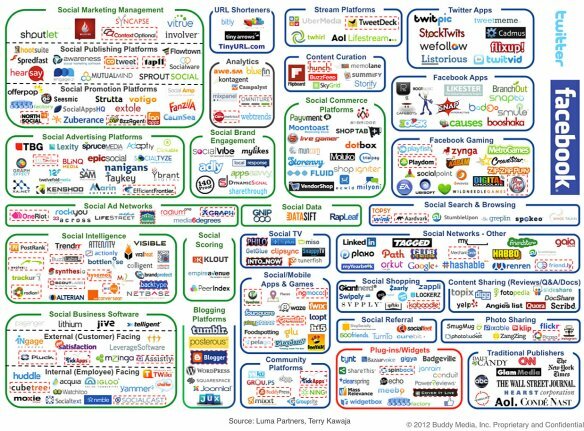 However, only 20% of these companies (28% in the U.S.) are using all four major social media platforms. 69% of U.S.-based firms in the study have a Facebook page, but just 32% have posts with comments from fans. A relevant KPI for social media analytics is: – ‘Online Share of voice’ (OSOV) – the collective opinions of positive, negative and neutral comments that we hear’. Many companies now see the benefits of monitoring their OSOV, both in terms of short term feedback such as new product launches or long term goals of brand value perception. kind of info in such an ideal manner of writing? I’ve a presentation subsequent week, and I’m at the search for such information.